The Top 5 Reasons to Plan a Luxe Breathless Getaway to Mexico! Ready to plan your next getaway with your best friends or special someone? Want to explore a place you have never been before? Breathless® Resorts & Spas is here to lend a hand with the top five reasons to visit us in Mexico! With Breathless Cabo San Lucas Resort & Spa on the Pacific coast and Breathless Riviera Cancun Resort & Spa on the East coast, there are two beautiful resort options for you to experience all that Mexico has to offer. Read on to find out why we think a getaway to Breathless Resorts in Mexico is an absolute must! Visit Breathless Resorts & Spas in Mexico for a beautiful getaway! We made it to Friday, Breathless Resorts & Spas Fans! Visiting a Breathless Resorts property between June 14th and July 15th?! You’re in luck, because our E-Teams are preparing for the most lively Soccer Fest celebration! Read on to see what types of themed activities select Breathless Resorts & Spas properties will have! 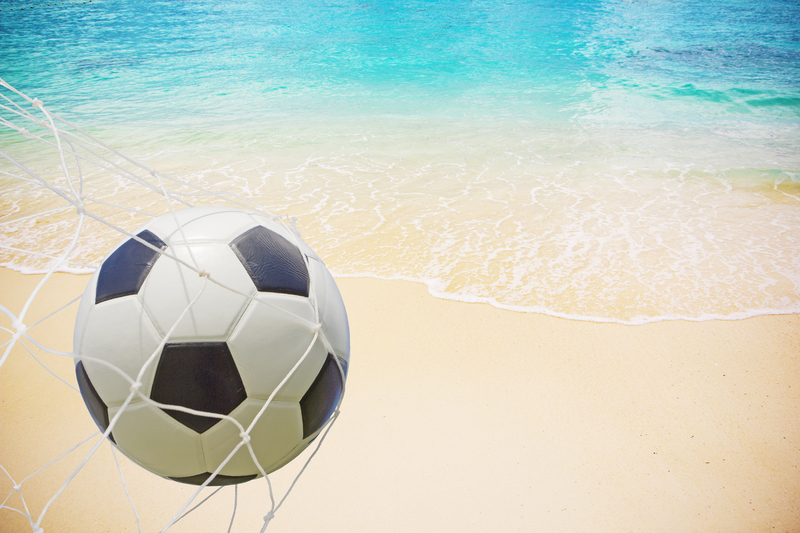 Come kick it with select Breathless Resorts & Spas during this year’s games! NUDA Canada Heats Up Breathless Riviera Cancun! We love welcoming friends to join the party at Breathless® Resorts & Spas, and we were thrilled to host NUDA Canada at Breathless Riviera Cancun for a stunning photo shoot. Keep reading to see how the beautiful backdrop of our resort can show off a great tan! NUDA Canada had a great visit to Breathless Riviera Cancun Resort & Spa! NYE and One Night Free at Breathless Riviera Cancun! Who’s getting ready to ring in the new year with a big bash? We are! It’s always a party at Breathless® Resorts & Spas, and we’re pulling out all the stops for an unforgettable New Years Eve experience for our guests—but that’s not all. When you join the NYE party at Breathless Riviera Cancun for three nights, you’ll receive a fourth night free! Read on to learn more about this awesome deal. Enjoy NYE and one night free at Breathless Riviera Cancun Resort & Spa! The Los Cabos Film Festival at Breathless Cabo! Lights, camera, action! Happy #TravelTuesday, Breathless® Resorts & Spas! We have some exciting news to share with you involving one of our very own resorts, Breathless Cabo San Lucas Resort & Spa! With the Los Cabos Film Festival coming to Cabo, Breathless Cabo San Lucas is offering special rates for those wishing to attend! Read on to learn how Breathless Cabo San Lucas is celebrating the arrival of the Los Cabos Film Festival. Breathless Cabo San Lucas Resort & Spa is ready to celebrate the Los Cabos International Film Festival. Greetings from Breathless® Resorts & Spas! We have some exciting news to share with you that will have you packing your bags! Our Hot Hot Hot promotion is officially on and we want you to join us at Breathless Resorts! Read on to learn about these savings and how you can jump on this new deal! Enjoy sizzling summer savings at Breathless Resorts & Spas! Feed Your Wanderlust at Breathless Resorts & Spas! Feeling the urge to travel and explore a new and exotic place? At Breathless® Resorts & Spas, we’re excited to share our newest and most whimsical promotion with you that will entice you to do just that! Keep reading for more information on our Wanderlust deals and how you could score a getaway for two to fuel your wanderlust! Join the party of a lifetime when you book your Breathless Resorts & Spas adventure with Wanderlust! Unyting the Knot at Breathless Resorts & Spas! Looking for a fresh start in life? Well now is your time to celebrate a new chapter at Breathless ® Resorts & Spas! It’s time to untie the knot and let go! Start fresh by popping the bubbly, revamp yourself at the spa, trash the memory and begin to live big and breathe deep at Breathless Resorts & Spas. Enjoy this unique package at Breathless Resorts & Spas!